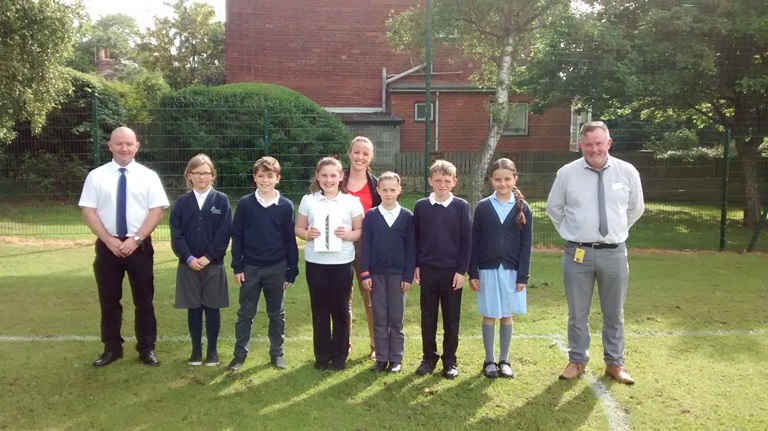 Children from Bell Lane Academy in Ackworth have visited new homes nearby to unveil the name of the street that they chose. 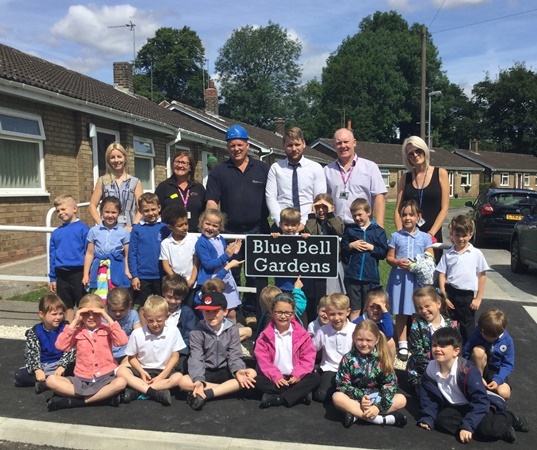 The name, Blue Bell Gardens was inspired by the name of their school and the colour of their uniform. 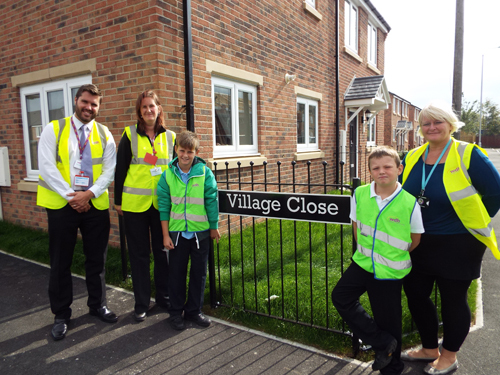 The new homes development on Blue Bell Gardens has been delivered by WDH and Strategic Team Group near to the school. 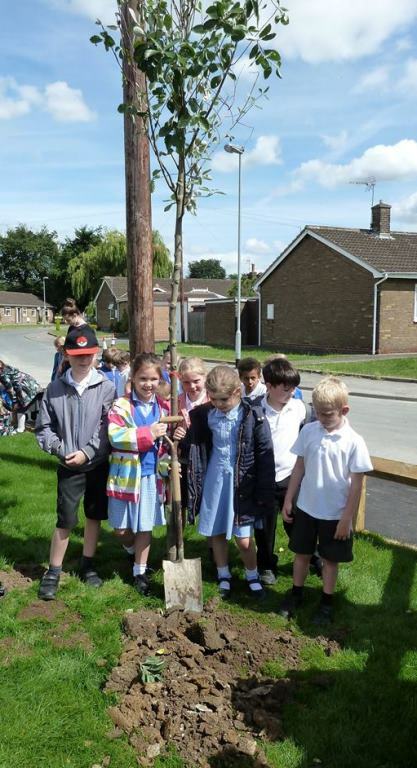 WDH has worked closely with students over the past year to teach them about how to act responsibly and stay safe near building sites, running safety poster competitions, inviting them to name the street on the development, and, most recently, visiting the completed development to help plant trees and shrubs. The new development will feature 16 properties in total. These properties will include 2 and 3 bedroom homes for rent and sale through WDH’s Shared Ownership scheme. 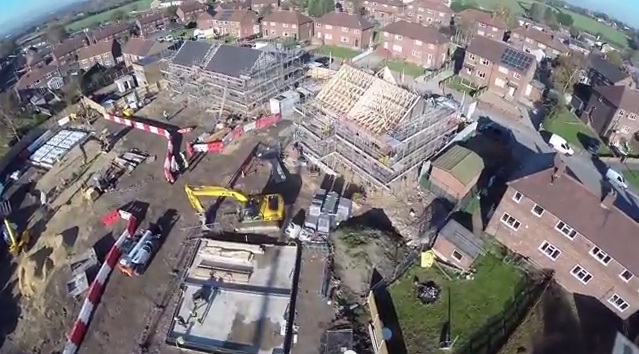 View our drone footage of the development here. 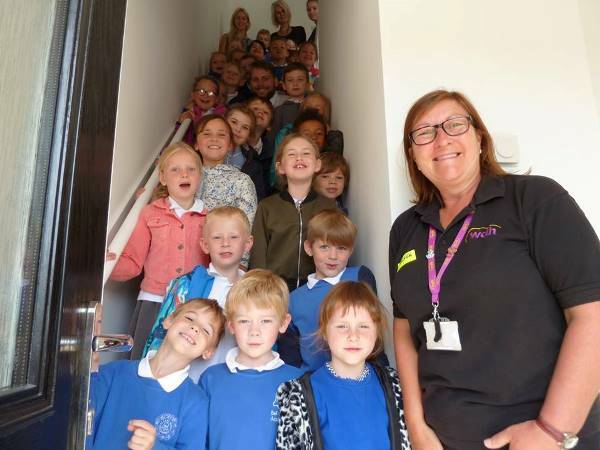 The homes will now be allocated on Homesearch and the Shared Ownership properties will be offered for sale to successful applicants following mortgage applications. For more information on Shared Ownership with WDH visit www.wdh.co.uk/AvailableProperties/SharedOwnership/.